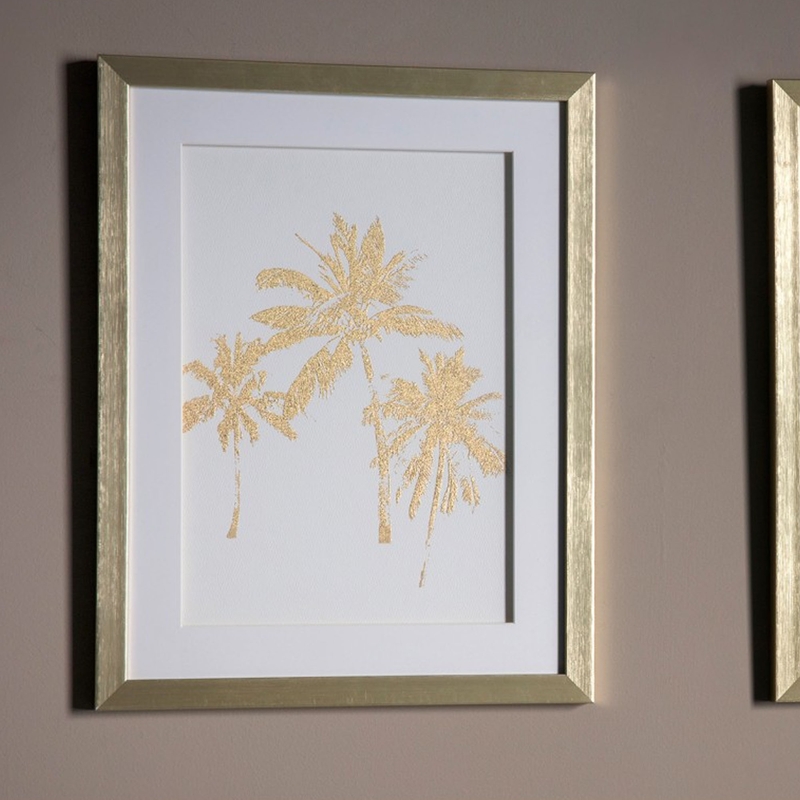 This wonderful piece of framed art features 3 gold painted palm trees. Simple piece of art such as this are perfect for any style of home interior. Stunning as a focal point in your living room, this framed art is a must buy.